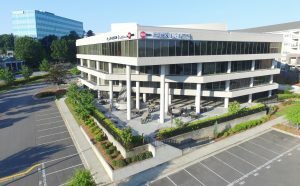 This transaction features a stunning 60,000+ SF Class-A office property located in a very attractive office and residential central-perimeter sub-market of Atlanta. As desirable as this locale is today, the area did not escape the toll taken by the financial crisis that shook real estate markets beginning in 2008. This property was vacant when the current owners purchased it in June 2013 and the property’s condition was not suitable for occupancy. Originally built in 1978 it required complete redevelopment, which is exactly what the new ownership had in mind. The ownership team includes professionals with deep experience and expertise in all facets of commercial real estate, including development, leasing and management. 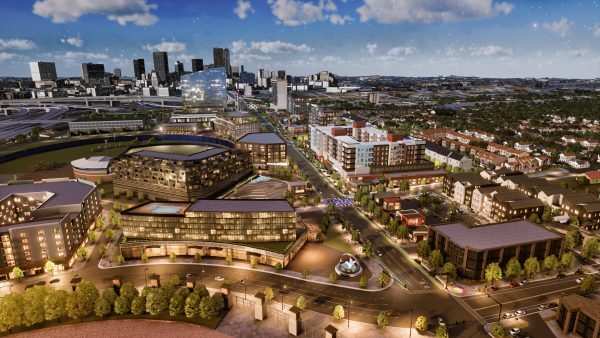 Principals in the project include MidCity Real Estate Partners and Corporate Property Advisors. With their partners, they invested substantial capital alongside the development loan they secured.The building was completely gutted and received all new interiors. Ground level office space was converted into covered parking. Even the building’s exterior was completely refaced. As of 2015, the property was essentially “new” again. New covered parking spaces with new entry and exit drive lanes. Direct access to I-285 and GA 400. The property serves as the tenant’s executive offices and training facilities. The tenant consolidated several regional offices located around the Southeast to this centralized location. In addition to three floors of office space, the building includes six test kitchens, product testing space and a large outdoor terrace for employees with a view of the King & Queen building, a notable landmark in the Atlanta central-perimeter skyline. In 2016 Credit Union Business Services facilitated a commercial mortgage for the owners with several credit unions, helping the owners to achieve several key objectives: 1) they secured an attractive interest rate fixed for the duration of the loan; 2) investors obtained cash out as a partial return of capital; and 3) the owners and the credit unions established an important relationship from which both parties can build for future transactions.